Furniture and home decor retailer west elm plans to open what will be its fourth Atlanta area store, and fifth overall store in Georgia, next year in Buckhead. The approximately 12,000 square foot store will open at The Shops Around Lenox, adjacent to Lenox Square on Around Lenox Drive. Permits filed recently with the City of Atlanta confirm that the retailer will open in place of women's boutique Tootsies, which as ToNeTo Atlanta first reported earlier this month, will be downsizing and relocating to Buckhead Exchange. West elm, a division of San Francisco based Williams-Sonoma, was launched in 2002 and opened its first Atlanta area store at Atlantic Station in 2005.  In 2014 the company opened in Alpharetta's Avalon development with additional locations coming to Ponce City Market in 2015 and to Drayton Street in Savannah the following year. Last year the company also announced the launch of West Elm Hotels. There are confirmed plans for six West Elm Hotels including one planned for Drayton Street in Savannah across from Forsyth Park. 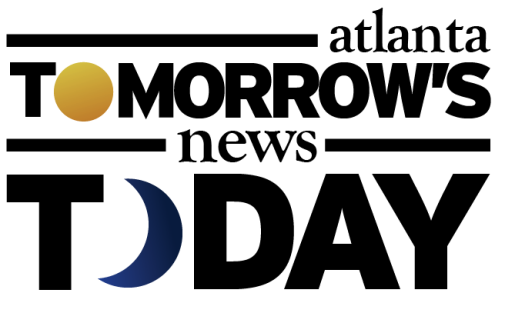 Hospitality sources indicate that the company has at least "looked at" the possibility of opening a hotel in metro Atlanta with areas along The BeltLine being of most interest. ToNeTo Atlanta reported in October that A Pottery Barn "warehouse sale" outlet store quietly opened in Morrow at Southlake Festival near Southlake Mall this past July. The store, which primarily features Pottery Barn and Pottery Barn Kids merchandise, along with occasional Williams-Sonoma and West Elm products, is open only Thursday through Sunday from 10AM until 7PM. The store is reportedly only temporary and is one of only a handful that the company has opened. West elm's Buckhead store will join existing Williams-Sonoma brands - Williams-Sonoma, Pottery Barn, Pottery Barn Kids and PBTeen - all located in Lenox Square. At the Shops Around Lenox, west elm is the latest in a string of new and upcoming tenants in the rejuvenated development. Earlier this month, Draper James from actress Reese Witherspoon, opened only their fourth overall location at Shops Around Lenox. Early next year, Flower Child, from the creators of True Food Kitchen will open in a portion of the former American Apparel with SoulCycle also expected to open later in the year. Crate & Barrel, which also sells furniture and home decor, relocated from Lenox Square to the Shops Around Lenox in 2012. 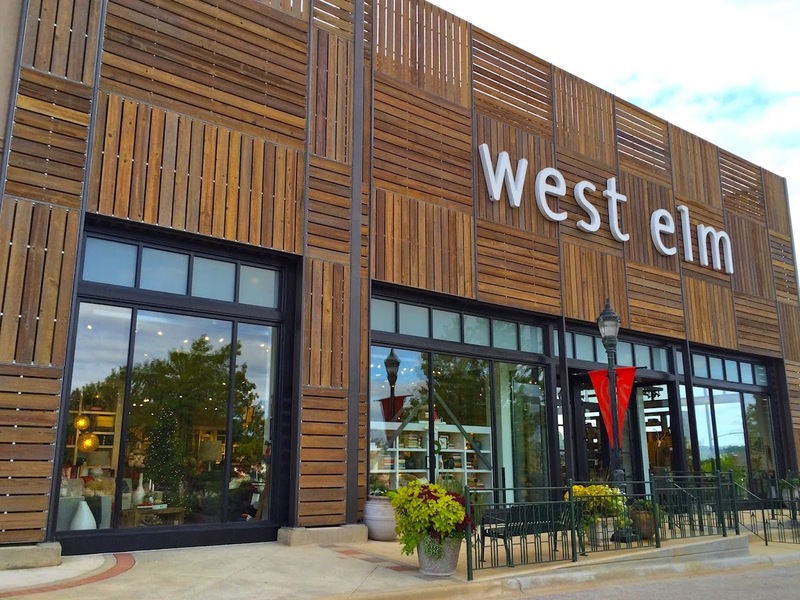 Are you excited for the opening of west elm at the Shops Around Lenox? Do you think a west elm hotel will come to fruition in Atlanta, if so, where should it open? Have you been to the Pottery Barn outlet in Morrow? That Crate & Barrel is not as nice as it should be. Ugly. I am surprised that C&B doesn’t have a non compete clause for the shopping center. 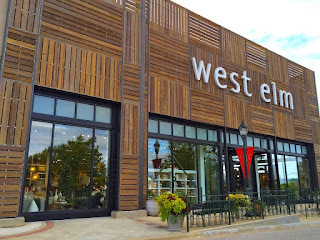 West Elm, while not exactly the same, is a pretty similar store. I must say I’m surprised it’s taken West Elm this long to set up shop in buckhead. The current Crate & Barrel location is about the right size for a West Elm. Our current C&B is way undersized for a market the size of Atlanta. In the northern VA suburbs you can find multi-level Crate & Barrel stores offering their full line of merchandise. I was way underwhelmed when I tried to shop there; I'm not going to buy a $3000 sofa from a catalog if I can't even sit on it first.